Idea of this tool is to help my sons with their issues with reading. Then read very slow but can easy learn by listen of spoken words so i found this way to help them to read and listen the same text in the same time. Application load text form clipboard then split it into paragraphs and if it speaks it is also showing current spoken text on screen. Maybe this tool will be usefull also for you. This entry was posted in Uncategorized on 2016-06-04 by goluda. 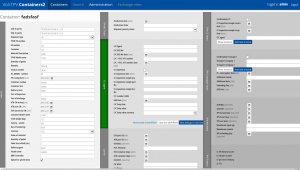 For Medison – medical company we delivered system to support their patients database. This entry was posted in Uncategorized on 2015-12-27 by goluda. For BMB Steering we (app-Consulting) prepared ERP database. Goal or our system was to replace existing excel planing sheets with system which will work until company will start to work with SAP. Second goal was also to teach users to work with systems. Master data managements with parts master data, BOMs, Routings and machinery configuration. Warehouse management with support automatic booking of materials based of routings configuration, and consignment stock management. 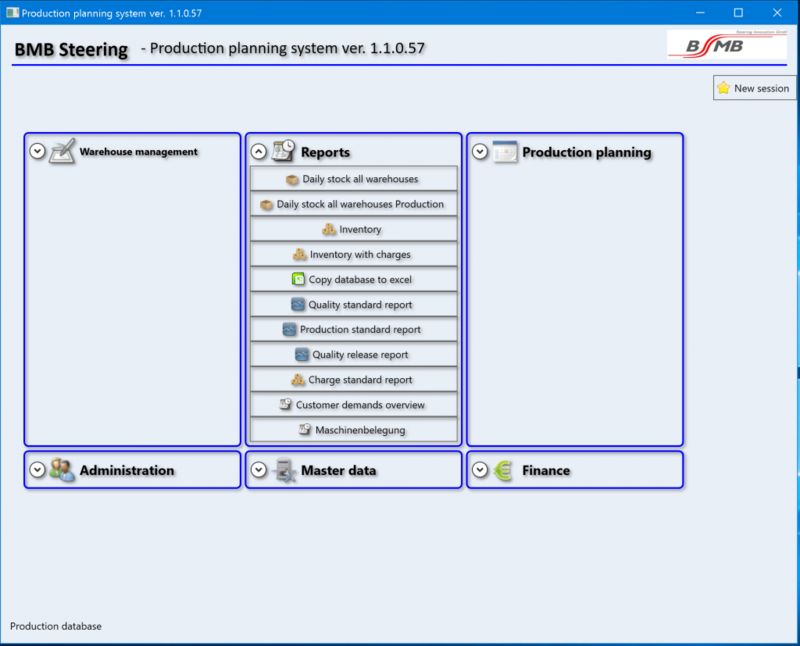 Production management based on production orders. Quality management which supports quality tests, blocks and releases. Production planing for each production step based on customer demands and stocks. As app-consulting we delivered very simple inventory solution for Faurecia in Gorzów Wlkp. 2. Windows CE application for motorola scanners which are used by warehouse employees to scan labels from goods. Communication between modules works over HTTP – desktop application uses nancyFX server to serve REST api for scanner application. no database, all data are stored in Json files. This entry was posted in Uncategorized on 2015-12-25 by goluda. In app-consulting we offered to one of our client ipcars form Gorzow system to support car rental company. Application contains complete database of cars and support car rental prices starting from registering client request to support car releasing and receiving form client. Additionally employees who are responsible for cars management have android application to see which cars should be released to client and which has to be taken back. android app: apache cordova hybrid app with ionic framework. As Voli we prepared application for TPV in Gorzów which supports logistics process. Application delivers workflow process for containers shipments. System should support transport containers form China to Europe and manage all necessary information in system. Aero2 service is very popular free internet access in Poland. It has one problem. Every hour you must put caputcha code and after this restart your modem to reset your session for next hour of internet browsing. This is very annoying to restart device and then connect to network or each time to go to network settings in the device and then go to WAN settings and switch of and on connection again. So today i did small check how resetting connection from browser works in background and I created small jQuery script for everyone who want to have something easier. And this is all, just add this to small page when you link to jQuery and it is done. In my example user and password is standard. admin/admin. Yesterday i had an idea to make another presentation of my CV. 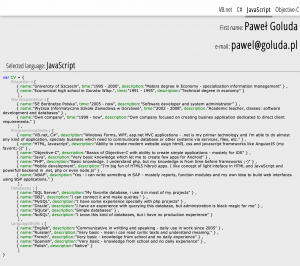 This time it is dynamic website which contains my CV presented as a code of different programming languages. You can see this page in action via this link http://goluda.pl/apps/cv. Have fun and feel fee to comment or give ma advices. This entry was posted in Uncategorized on 2014-02-20 by goluda. My application – plan lekcji – free version of Lesson plan makes me very surprised. 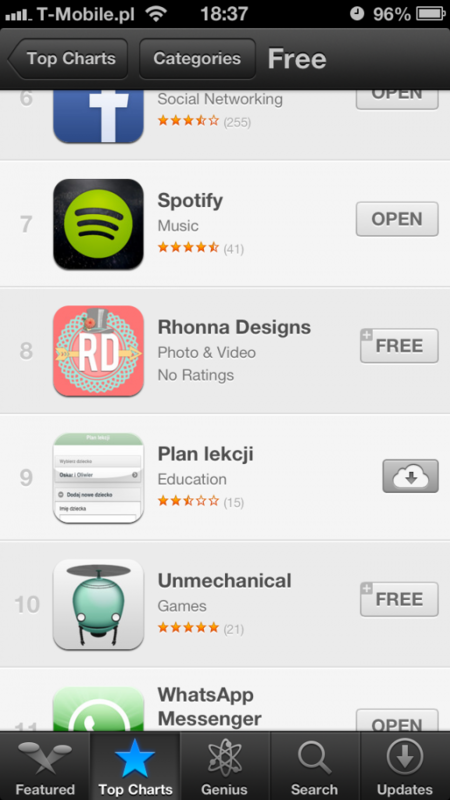 I was looking for keynote application and i found out that my app is on 9th place of to chart of free apps in Poland. I have no idea what to think about it, because this project is very old and i had no plan to update it. Do you think should i create new version of this app with something similar to this what i have in Lesson Plan? This entry was posted in Programowanie and tagged iPhone on 2013-09-10 by goluda. Last few days i was working on redesign my Lesson plan application. I focused on two points. First was to change design to something new fresh and “flat”. Second goal was to make it more responsive. In old version i used jquery mobile framework which becomes very slow and user had all the time feeling like application is not fast enough. This itme i focuesd on angularjs and its mobile capabilities. Before you start – add a child, edit child name and edit default timetable for lessons in your child school. All data are saved locally in your browser. Application right now didn’t save anything on a web but i’m planing to release such functionality. Please let me know your experiences with this design.